Together with another young Slovak Jew, both of them deported in 1942, the author succeeded in escaping from the notorious death camp in the spring of 1944. There were some very few successful escapes from Auschwitz during the war, but it was these two who smuggled out the damning evidence – a ground plan of the camp, constructional details of the gas chambers and crematoriums and, most convincingly, a label from a canister of Cyclone gas. The present book is cast in the form of a novel to allow factual information not personally collected by the two fugitives, but provided for them by a handful of reliable friends, to be included. Nothing, however, has been invented. 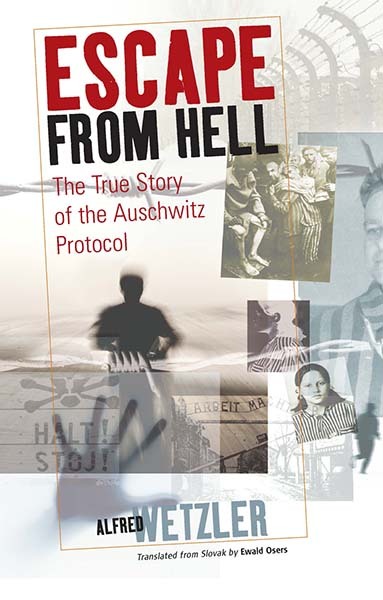 It is a shocking account of Nazi genocide and of the inhuman conditions in the camp, but equally shocking is the initial disbelief the fugitive’s revelations met with after their return. Chapter 8. To Die – or to Perish? Chapter 10. Danger: Live Ammunition!